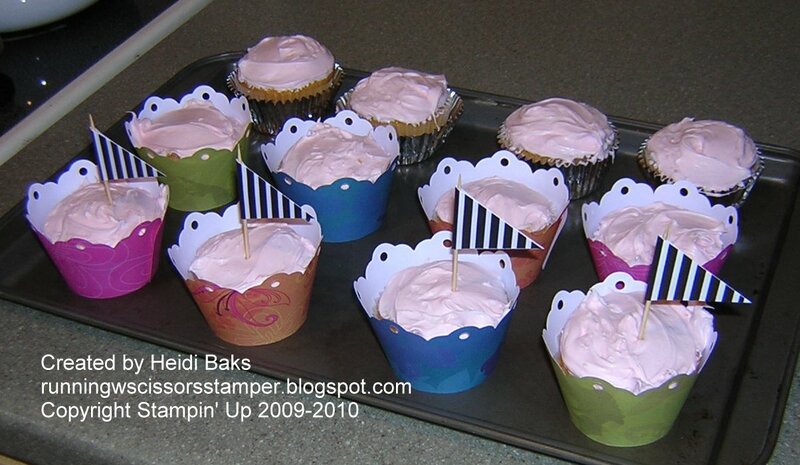 Continuing from yesterday, here are a few crafty things I prepared for the birthday party table and party favors. I filled favor tins with M&M's and decorated with a Tinkerbell stamp by EK Success. 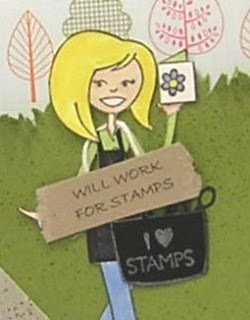 Of course, I used coordinating circle and scallop circle punches from Stampin' Up. 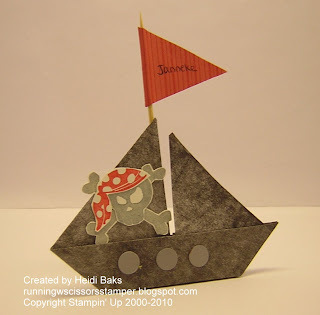 I created origami pirate ship place settings for each child. 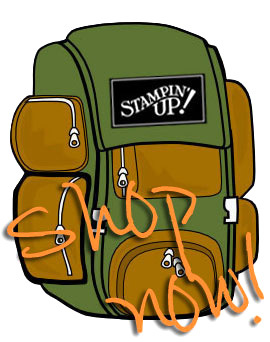 Cardstock and construction paper were too thick for origami, so I brayered copy paper with black ink, and then decorated with Stampin' Up supplies. I was inspired by 'icelilly' on SCS, and the instructions for the origami folding is here. Stamps: Pirate Time, Happiness BG; Paper: Going Gray, Very Vanilla, Ruby Red, Copy paper; Ink: Going Gray, Ruby Red, Basic Black; Accessories: Toothpicks and flag pattern from Pirate Party Kit, 1/2" Circle punch, Brayer. 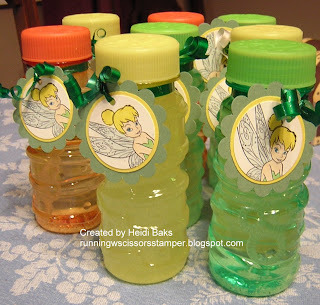 Decorated bubbles for party favors. And one of my favorites - dressing up the cupcakes! Now the only thing my daughter said was she wanted a "pink cake". So, pirate party or not, we were having pink frosting! 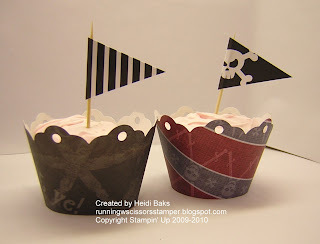 Food flags come as part of the Stampin' Up Pirate Party Kit, and I used the Perfect Setting die and pirate and Tinkerbell patterned paper to create the cupcake holders. 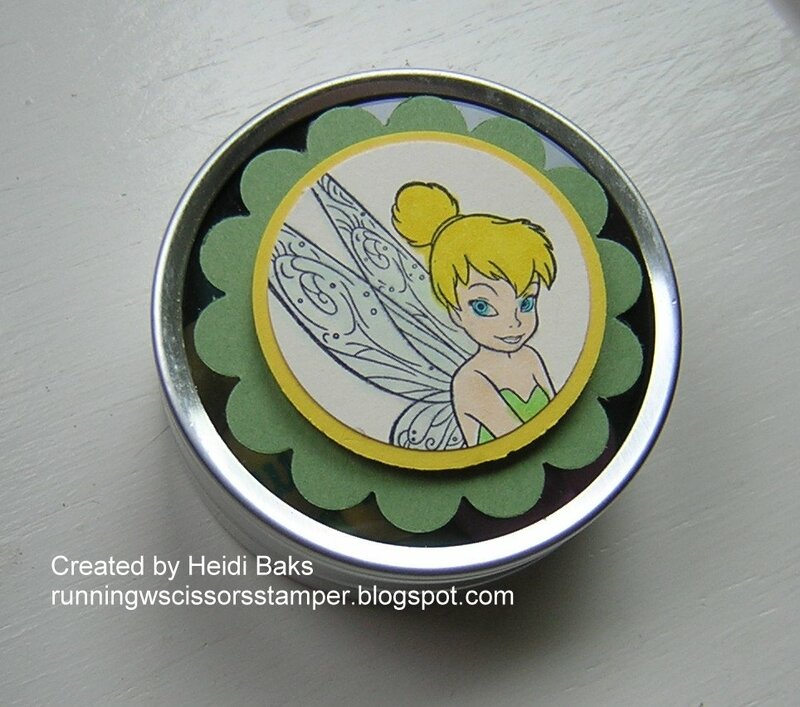 These are the Tinkerbell ones. 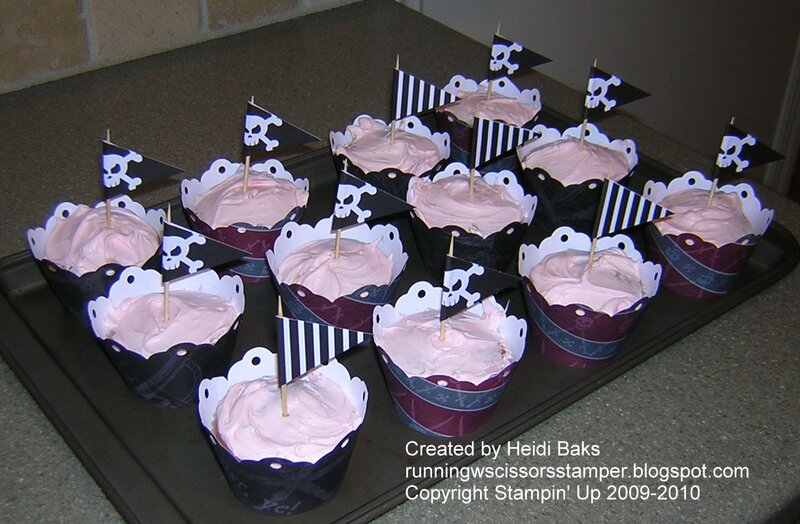 Close-up of the pirate cupcakes. Lots of fun to create this themed party. Thanks for stopping by!